20 Super Cute Handmade Easter Decorations! You are here: Home / DIY / 20 DIY Easter Decorations And Crafts! It’s gonna be that time before we know it! Easter is coming! Time to start thinking about your handmade Easter decorations, crafts, and fun projects for the kids or for us :)! I have gathered together 20 of the cutest homemade Easter decorations and crafts I could find! 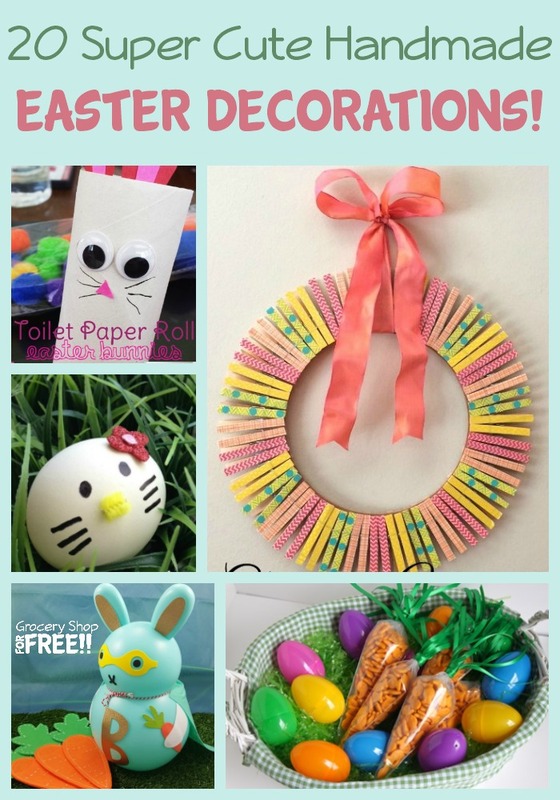 20 Easter Decorations And Crafts! DIY Shower Jellies OR How To Make Your Own Homemade Body Wash! Whipped Cream Easter Egg Dye!